This 1959 letter to Virginia Governor Wise from John Randolph Tucker, Virginia’s Attorney-General at the time. It outlines Virginia’s legal assertion that it had the right to censor the mail and prosecute those importing Abolitionist literature into the state of Virginia. It details the process of destroying material by fire in the presence of a judge. Tucker skirts the First Amendment issues and focuses on the Postal Service’s role as a delivery system as opposed to a role akin to a publisher. Tucker (1823–1897) was from a distinguished slaveholding family, he was elected Virginia’s attorney general in 1857 and after re-election served during the American Civil War. 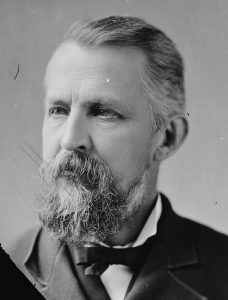 After a pardon and Congressional Reconstruction, Tucker was elected as U.S. 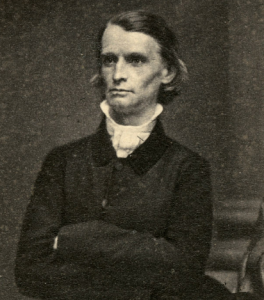 Congressman (1875-1887), and later served as the first dean of the Washington and Lee University Law School. The letter opens Willam Lloyd Garrison’s book, The new “reign of terror” in the slaveholding states, for 1859-60, published in New York in 1860. SIR, -The question is submitted to me for an Opinion as to the effect of the law of Virginia upon the distribution of mail matter when it is of an incendiary character. A newspaper, printed in the State of Ohio, propagating abolition doctrines, is sent to a person through a post ofiice in Virginia. 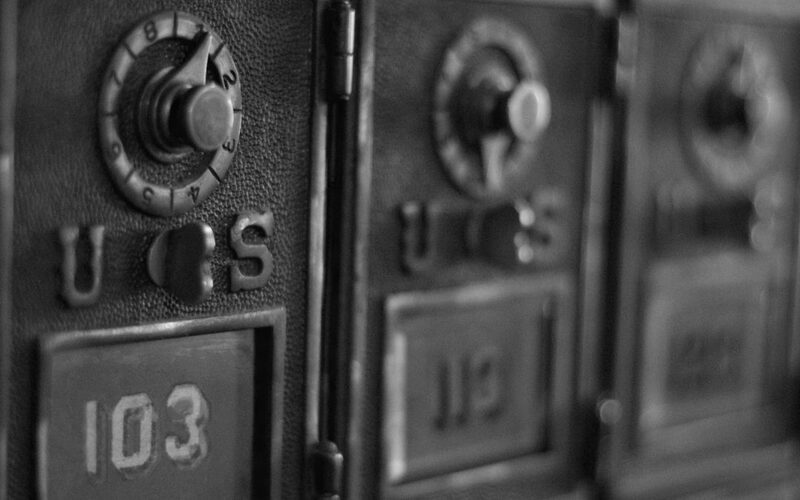 What is the duty of the Postmaster in the premises? This law is obligatory upon every Postmaster and Deputy Postmaster in the Commonwealth; and it is his duty, upon being aware that such book or writing is received at his office, to notify a Justice of the fact, that he may take the proceedings prescribed in the section quoted. This State law is entirely constitutional, and does not, properly considered, conflict with the Federal authority in the establishment of post offices and post roads. This Federal power to transmit and carry mail matter does not carry with it the power to publish or to circulate. This last is a great State power, reserved and absolutely necessary to be maintained as a security to its citizens and to their rights. If the States had surrendered this power, it would, in these important particulars, have been at the mercy of the Federal authorities. With the transmission of the mail matter to the point of its reception, the Federal power ceases. At that point, the power of the State becomes exclusive. Whether her citizens shall receive the mail matter, is a question exclusively for her determination. Whatever her regulation upon the subject, is for her decision alone, and no one can gainsay it. Her sovereign right to make it closes the door to cavil and objection. It is true the Postmaster is an officer of the Federal Government, but it is equally true he is a citizen of the State. By taking the Federal office, he cannot avoid his duty as a citizen; and the obligation to perform the duty of his office cannot absolve him from obedience to the laws of his Commonwealth, nor will they be found to conflict. The State, in the case supposed, holds the hand of her citizen from receiving what is sent to him, and takes it herself. No citizen has the right to receive an invitation to treason against the commands of his State, and her law forbidding it and commanding it to be burned, refers to the right of the citizen to receive, not to the right of the Federal power to transmit and carry mail matter intended for him, which he does not receive, only because the law of the State forbids it. I have no hesitation in saying that any law of Congress, impairing directly or indirectly this reserved right of the State, is unconstitutional, and that the penalty of the State law would be imposed upon a Postmaster offending against it, though he should plead his duty to obey such unconstitutional act of Congress. If there be a conflict, therefore, between the postal regulations of Congress and this law of Virginia, it is because the former have transcended their true constitutional limits, and have trenched upon the reserved rights of the State. In such a case the citizen, though a Postmaster, must take care to obey the legitimate authority, and will not be exempt from the penalty of the State law by reason of any obligation to perform the duties of a Federal office, which are made to invade the reserved jurisdiction of the State in matters involving her safety and her peace. It is eminently important that the provisions of the law in question should be rigidly adhered to by all the Postmasters in the State, and that the Justices to whose notice the matter may be brought should firmly execute the law, whenever a proper case presents itself for their decision.